In this module I'll share with you my thoughts around Attack fundamentals. Looking at making sure we get discipline in our running lines, our timing and our quality of pass. When we put them all together they will make up the framework of how we play. Jo goes through the very basics of attack. How to draw and pass, what lines to run, why and when. Gold from a master coach. outstanding video!!! Is this video available in spanish? Love these drills defo going to try these ???? Great technical stuff, very well explained. Great to see the asking of questions to players to make sure they understand the why. Would have like to have seen a quick 2-4 minute talk/demo as to why we attack with a much flatter line than the old standard 5×5 staggered formation. Perhaps the most significant skill set that the Kiwis have over the rest of the rugby world. From 1 to 15 everyone is taught to be comfortable with ball in hand. Brilliant progression. Simple to complex! Adding more concepts in each drill. Great to keep in mind!!! 5/5 great site. I love it. Delivered good detail to get accuracy and explained the reasons clearly to players. Progression levels of each exercise attainable for players. Excellent. It’s easy to see why Leinster and Ireland have thrived under Joe. Fantastic attention to detail and progression, great video! Great vid’ from ‘St. Joe’ I’m using the ideas with my U14s. It’s definitely a work in progress, but I’m looking forward to seeing them develop their skills. This Video allows me to see the training techniques “Fundamentals attack” in detail. This will help me to better teach the basic techniques to attack. Thanks Josef Schmidt. Beginner coach here, found the fundamentals and drills from Josef Schmidt very helpful. Good session by Josef Schmidt’s you can see why Ireland have been doing well in there attacking play. Great way for players to understand passing & running skills at any level. Great way of coaching basic core skills such as passing and receiving and running lines.It was well presented. Outcome is easily understandable as well as the strategies of how to achieve it. I really enjoyed the session. Great stuff! Ran this exact drill last night with my lads. Remarkable improvement on running lines and timing the support run. Thanks again Rugby Site, always delivering the goods! Great video. With some excellent drills to teach passing and also scanning the defence. Some good fundamentals to teach players. After the remarkable play Ireland showed the All Blacks this past week end. 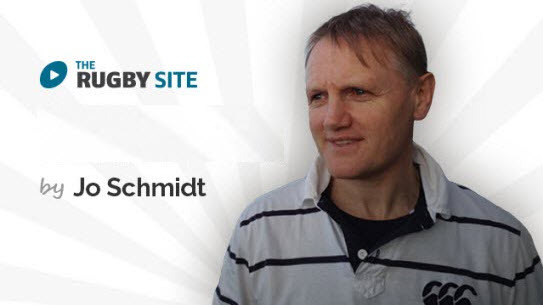 Schmidt has shown he has the coaching knowledge and experience to put together a team that is always a threat. The coaching session was simple, but filled with the kind of coaching details needed to improve my players. The rugby site is the only site I rely on for the best coaches to develop this game world wide. Great fundamentals to teach your players the importance of holding their lines and running straight. Interesting drills and a new concept to the attack line – to was an L drill with a difference. The triggers could be better explained but all in for a coach it was a good video and good concepts.